Big Sky Mountain - a seven piece all female Americana Country Pop band from Sydney, Australia. With a sound that is reminiscent of Norah Jones, Feist and a hint of Ricki Lee Jones and The Eagles. 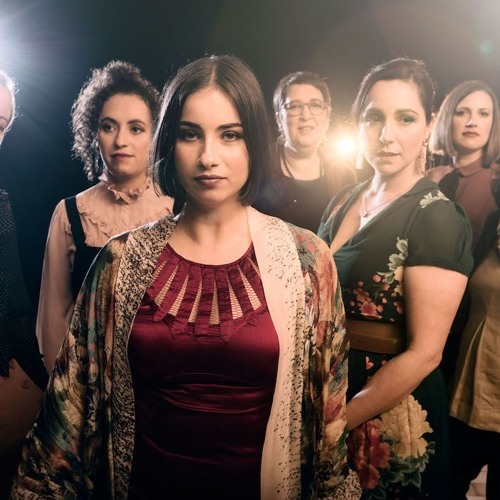 With several layers of heavenly vocal harmonies, combined with melody driven guitar and a flourish of trumpet - Their songs are free spirited and gritty, bashful and ballsy. All seven women have many years of musical experience that trace their beginnings from all walks of the globe incl. Ecuador, Sicily, The Philippines and Egypt giving Big Sky Mountain a rich cultural influence and an underlying musical twist. Currently Big Sky Mountain are tearing up the well worn stages of iconic Sydney venues including Camelot Lounge, Town Hall Hotel - Newtown, Lazybones- Marrickville, and The Gasoline Pony just to name a few. Recently Big Sky Mountain were featured on Channel 10 performing backing for the Ted Mulry Gang. 2019 will see Big Sky Mountain performing at the Perisher Peak Festival as well as the Girakool Blues Festival and they will also be hitting regional NSW with a short tour in late April. Big Sky Mountain are just about to release their debut album “All our Minutes”produced by ARIA award winner Paul McKercher.